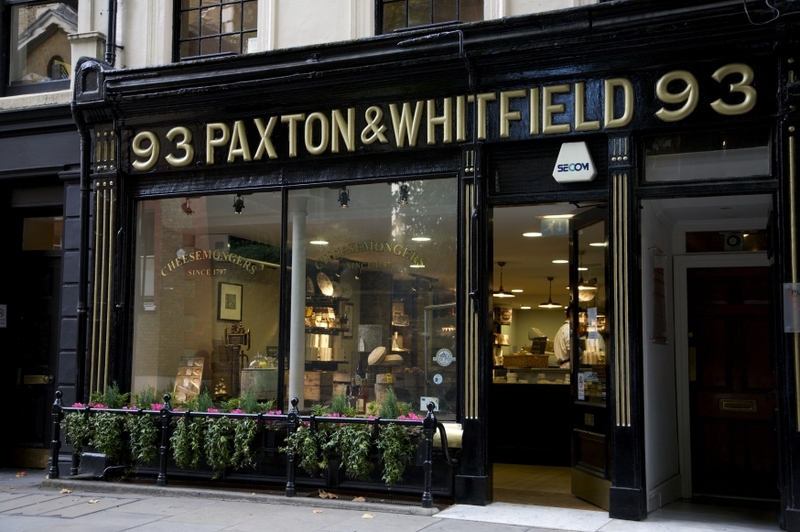 Paxton & Whitfield had been selling cheese for nearly 30 years when a financial crisis known as the 'Panic of 1825' saw the British stock market crash and the Bank of England saved from collapse by a massive bail-out from the French. 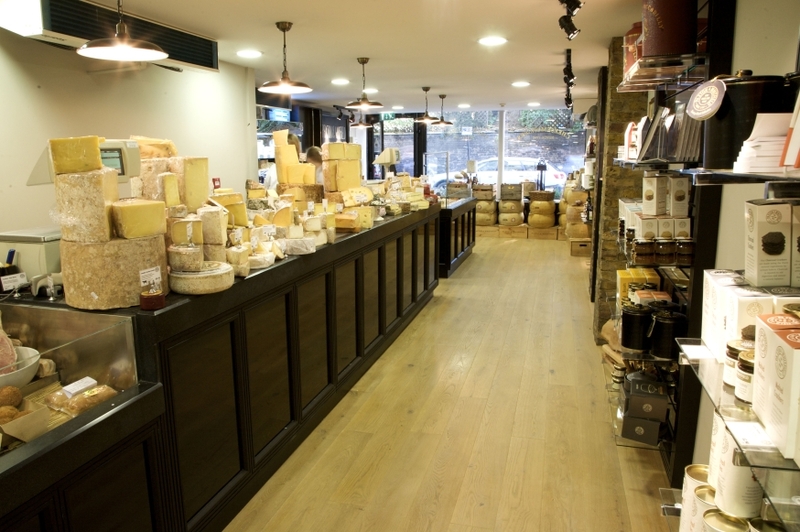 Since then the retailer has seen the rise and fall of the British Empire, two World Wars and the Great Depression, so today's economic woes are nothing new to what is probably the oldest cheesemonger in Britain, if not the world. 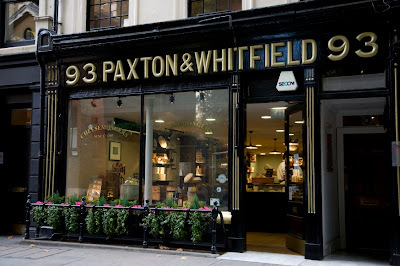 First recorded as a partnership in 1797, but with history that can be traced back to 1742 and a stall at Aldwych Market, Paxton & Whitfield is today owned by entrepreneur Andrew Brownsword, who made his money in (cheesy) greetings cards and also owns Gidleigh Park Hotel. There are shops in Bath and Stratford upon Avon, but it's the London store in Jermyn Street that is a must for cheese fiends. 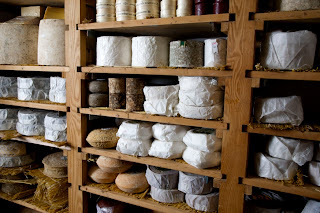 Anywhere between 150-200 cheese are crammed into the shop's counters at any one time, many of which have been matured in the temperature-controlled ripening rooms under the store. 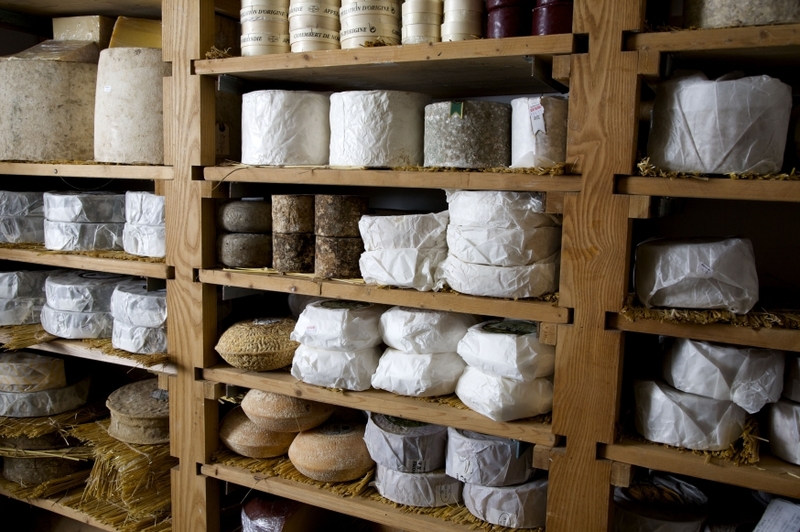 British cheeses rule, but there are plenty from elsewhere, including an amazing selection of French classics from Paris' most famous fromagerie Androuet (which is a paltry 103 years old). 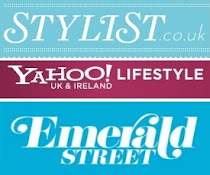 If you haven't been to the Jermyn Street store recently, you'll be in for a shock. What was a dark cramped space that belonged in a Dickens novel has been transformed into an open contemporary shop with a nice tasting room at the back. The clever trick is that it still feels like a traditional cheesemonger. The gorgeous black and gold frontage has wisely been left well alone and staff still sport smart black aprons. Keeping a 200-year-old business fresh is a tricky balancing act. Go too modern and you alienate the old boys with red trousers (and faces) that still totter around this part of London, but fail to move with the times and you won't attract the next generation of cheese lovers. 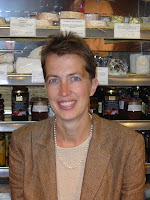 “I doubt there's a cheesemonger that has the history and heritage that we have. We're really proud of that and we would never want to forget it, but equally if we are going to continue for another 200 years we need to reflect what customers expect in the 2010s, “ MD Ros Windsor (below) told me for a recent article in Fine Food Digest. The cheese counter has also moved with the times. Top sellers remain old school favourites like Montgomery's cheddar, Cropwell Bishop Stilton and Brie de Meaux, but new cheeses developed directly with cheesemakers also get their chance. Cropwell's new blue Beauvale was trialled in Paxton stores last year and Robin Skailes developed his traditional rennet Stilton in conjunction with the shop. Other recentish additions to the range include 18-month Mossfield Organic – an Irish Gouda-style cheese apparently loved by Bruce Springsteen – and goats' cheese Windrush.